It does remain interesting, doesn’t it? 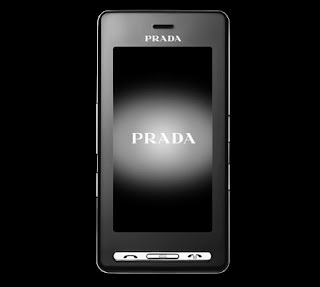 Days after AT&T was confirmed to have the iPhone for a minimum of 5 years exclusively, Verizon comes back to announce the launch of the ultimate fashion device (in a rather literal sense), namely the Prada phone (or LG KE 850). Verizon was keen to stress that this will not be the only music phone they will offer but this seems to being the current main contender of the iPhone: it has similarly sleek looks, both have a touch screen and even the LG UI is somewhat Apple-esque (See review here). One of the interesting things is to see how a phone that – in Europe – runs on the trusted MIDP 2.0 platform (and will, for Verizon, presumably run on the no less trusted BREW platform) will perform against the first one utilising Apple’s OS X. If Apple manages to have their OS run as smoothly and matter-of-factly as it does on their computers, we will all be up for a ride: whilst phones may not be as buggy as some of Microsoft’s earlier (or indeed current?) operating systems, Apple’s OS X is one hell of an elegant OS and supposedly superior to anything I have seen on the currently available systems. However, OS X requires quite a bit more in computing power than these, and this poses (at least) two challenges, namely a) battery life and b) speed. LG’s Prada phone on the other hand has shown in the UK that it is a proper everyday device that works well (and looks good). It also comes with 3G (other than the iPhone) although of course it lacks WiFi. LG has recently shown that it has a nifty hand for great look-and-feel: the Chocolate, the Shine and the Prada phone all show a fantastically slick approach to handset design. Since LG phones run on a “usual” OS, all applications and games, etc that run on “normal” phones, also work for them. And Apple? Nothing I heard of. Even the iPod games have already been cracked (see here).